Summertime means yummy food. And s'mores is one of our favorites. However, making s'mores with a plethora of food allergies and sensitivities can be challenging. In years past we have made traditional s'mores by roasting a marshmallow over a campfire, then sandwiching it with a piece of Enjoy Life chocolate between two cookies or some sort of crackers. However, thanks to the power of the internet, I have seen lots of yummy versions of s'mores this summer. 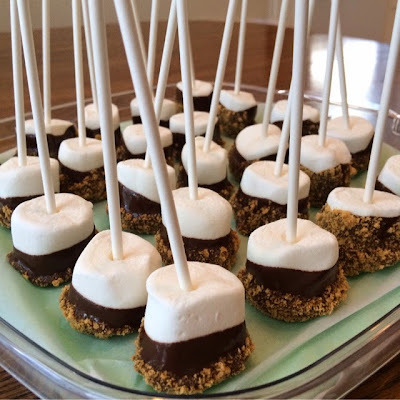 These s'mores pops looked easy enough to replicate and alter to meet our special diet needs. 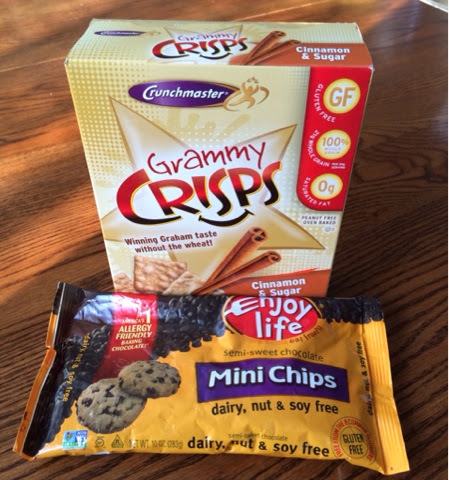 All you need is a package of marshmallows, a package of Enjoy Life chocolate chips, some coconut oil, a box of safe graham crackers (I used Grammy Crisps), and some cake pop sticks. Dump the bag of chocolate chips into a small saucepan along with a dollop of coconut oil. I used about 2 teaspoons. Melt over low heat. You could also do this in the microwave, but I prefer to melt chocolate on the stove. While the chocolate is melting, poke the cake pop sticks into the marshmallows, doing your best to get them to stand up. (I may try this step at the end next time.) In a food processor or blender, finely chop the graham crackers into crumbs. Once the chocolate is melted, dip each marshmallow into the chocolate, then dip into the graham cracker crumbs. Allow to set on parchment paper. They set up nicely in the refrigerator. I brought these to a daycare family gathering, and everyone enjoyed them. I didn't even tell them they were allergy friendly. :) Enjoy!